There’s a good chance that you, your boss, your neighbor and your mom are all members of at least one social networking site. With over a billion people using various social networks, taking advantage of these tools has been more beneficial than ever for your business. Social networking is about making connections, so in order for it to be beneficial, you must find a way to offer something of value through these sites. There are several different ways to give people something of value. Below will address a few ways you can use social networks to help expand your business and generate leads. 175 million people log into Facebook each day (info: http://www.businessinsider.com/its-facebooks-scale-stupid-2010-2) making it one of the most recognized sites online today. Facebook is a very powerful tool for SEO. You can create a free business page and within days you will probably notice it on the first page of results if you Google your business name. People become “fans” of your Facebook page, meaning that you can send them updates regularly about what is going on in your business (all without spending any money on advertising). All of your fans have a link back to your Facebook page or their profiles, meaning instant advertisement for your company. The more fans you have, the more links and free advertising you get! Facebook also offers targeted affordable advertising. No matter who you want to advertise to, Facebook has you covered. Perhaps the best part of Facebook is the fact that it makes your company feel personable. You have the ability to add pictures of your staff, your office, or your work, giving your fans an idea of who you are, even though they may have never met you in person. Want to see our Facebook Page? Click here and become our fan. 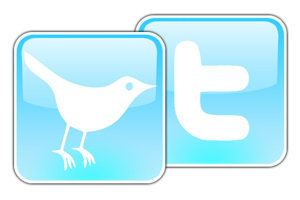 Twitter is fun, easy to use, and can drive a lot of traffic to your website. Twitter allows you to update followers on what is going on with your company and keeps your business in the back of their minds. • Big news within your company? Tweet it! • Just hire someone new? Tweet it! • Are you now offering a new product? Tweet that too! Twitter keeps people interested in what you are doing without making them have to read pages of a press release or news story. It’s the ultimate way to keep your readers in the know. Follow ACF on twitter by clicking here! 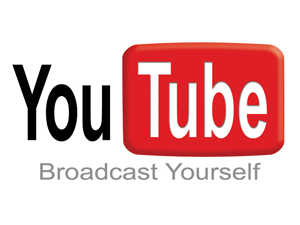 With more people wanting to create videos for their site, You Tube gives people yet another way to find you. You can make a video channel for free and videos are easy to submit. You can post video blogs, tutorials, or anything else related to your business. Since millions are using this site daily, you tube videos can give your company a serious SEO boost. Social bookmarking sites such as Digg, Delicious, Stumble Upon and Reddit (among MANY others) are another way to give your site tons of potential traffic. More and more people are surfing the web through these social bookmarking sites so if your link isn’t there, they aren’t seeing it. All of these sites have a very high page rank, so submitting web pages, articles, blog entries, or press releases can give your site an SEO boost. Adding links on your web pages to these social bookmarking sites can further increase your traffic because it lets your readers also submit pages they find relevant, letting them do some of the work for you. Social networking offers huge potential for free advertising, so it makes a lot of sense to start using it. Although social networking can have great benefits, it does require a good amount of time to set up and maintain, which is where we come in! If you have questions or need help getting started with social networking, contact us today.